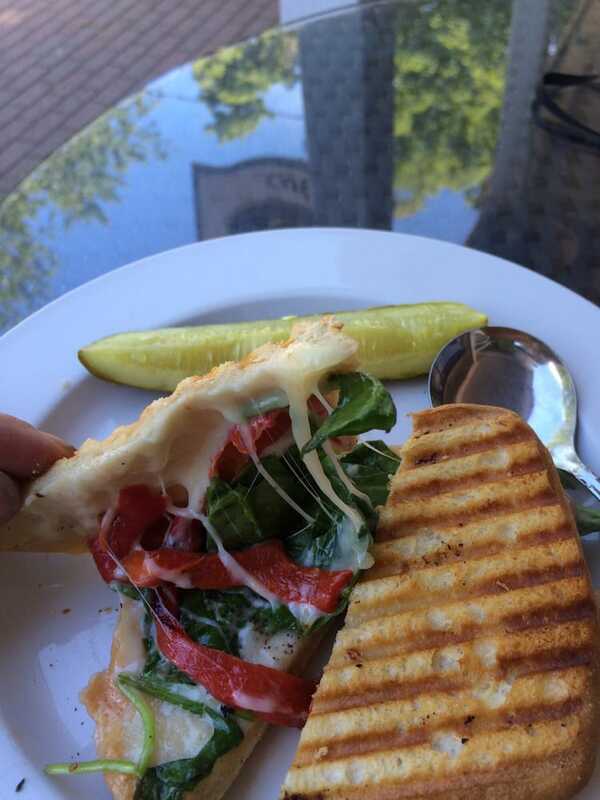 The Hebron Harvester: Enjoy Something Simple Cafe! 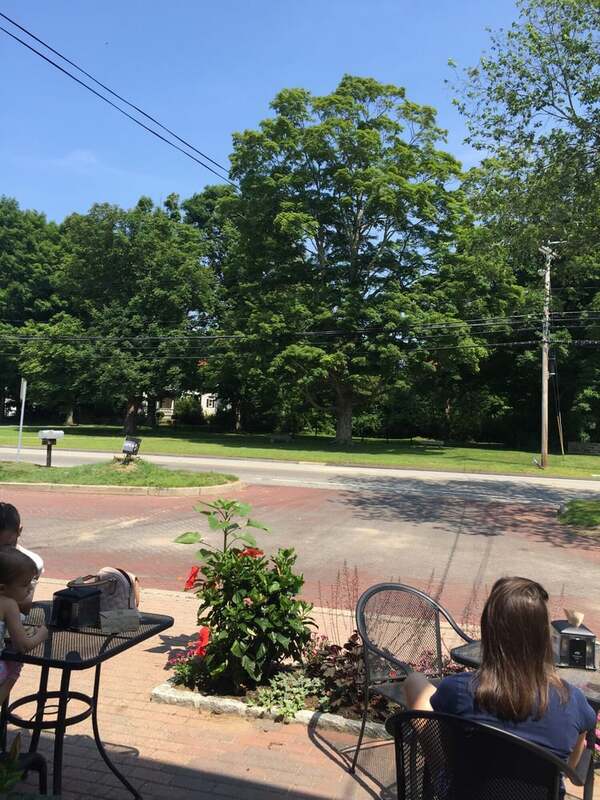 I want to recognize another restaurant that has gained attention in Hebron, not only by its welcoming environment, but because of its rich history within our town. Along Route 66, near the town green, there is a small cafe, Something Simple Cafe. It's kind of hard to see from the main road as it's off to the side, though anyone local can point it out to you. It's reachable by entering the Douglas Library parking lot over by the Old Town Hall building. 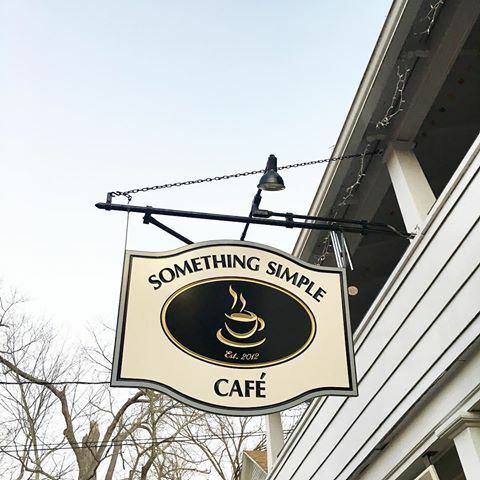 Something Simple Cafe is relatively new, as it was established four years ago with the goal of "providing a warm environment for people to talk and enjoy each other over a good warm cup of coffee (espresso or latte) along with good healthy food" (Jessica Dapsis, manager). The restaurant focuses on local businesses, using Hosmer's Soda for soda, a local coffee roaster out of New London, and Deep River Chips (Jessica Dapsis). Personally, I think we have more to cherish when we have a cafe that is local and representative of our town, aside from the Subways and CVSes. It's great to know that people in our town still want to protect our heritage, and I believe that's simply a core value of Something Simple Cafe. What makes the restaurant even more interesting is its past history. The building was built in 1750 and made into a store somewhere between 1816 and 1829. A history of the building was provided to Alma and Clarence Porter in a letter dated December 26th, 1930 from Mr. F. C. Bissell, the Comptroller for the State of Connecticut. The Porters, upon receiving the building, ran a store at the site for 25 to 30 years. It was later purchased on May 17th, 1954 and operated by a man named Bishop for a short period of time, before Mr. and Mrs. Celio purchased the building on April 19th, 1958. They later ran the store as Frank and Marion's from 1958 until 1972. 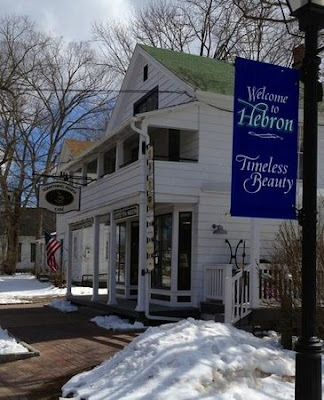 The first meeting to form the Hebron American Post Legion was held on the second floor of the building, which at that time was used for storing goods for the business. Today, as you venture through the building, there are various artifacts such as the hand prints in the cement step in the back, and the Old Bob-Bet Bait box in the attic that a tell a story of Hebron on their own. I suggest you may take a look at these when you visit the building yourself. But the building has also been a cause for mysterious activity over the years. The manager, Jess Dapsis mentions that "We have had employees experience being pushed (gently) on the stairs" and there have been several things "passing by an employees' heads that could not just have fallen down." Dapsis also mentions that "bagels came off shelves, coffee cups came off shelves." Employees have heard voices when no one else is there and lights randomly have turned on after being shut off. Dapsis mentioned that the women who formerly owned the art/frame shop had also experienced similar paranormal activities (Schrayter, Geeta, "A Ghostly Night at Something Simple in Hebron"). The Connecticut Ghost Hunters came to Something Simple, and after three hours of investigation, their findings confirmed many of these strange paranormal occurrences, such as hearing footsteps, chairs moving, or having their jackets tugged. 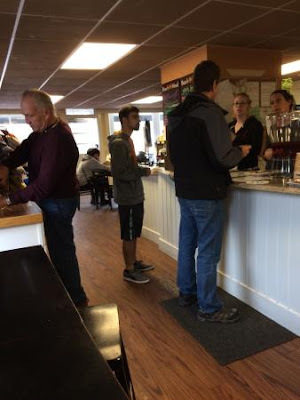 Take a look at the videos below to see Chris Baricko's (member of Connecticut Ghost Hunters) findings while visiting Something Simple Cafe. Does it seem scary for you? Well, don't fret, because Something Simple is a warm and inviting restaurant that anyone can enjoy. Something Simple Cafe offers a wide variety of foods from its menu, including several different kinds of coffees, bagels, sandwiches, grinders, toasted panini's, soups, salads, and much more. Not only does it have a wide variety of foods, the restaurant provides entertainment, specifically in the arts. Oftentimes singers and guitarists will share their music, and the Something Simple staff provide events like a "Fused Glass Workshop" and "Art Lab Paint Parties" that may also include crafts and local artists. I believe it's great that they don't only offer food, but they offer events to keep their company entertained. There are also many seats both indoors and outdoors for when the spring and summer weather finally comes. Something Simple is certainly a place I'd recommend anyone try, whether you are in town (and haven't been there yet), or if you're simply passing by. With a great selection of food, entertainment, and a rich history including the many wonders of our town of Hebron, you won't be disappointed. In fact, I think you'll simply be amazed. Something Simple Cafe is open 7 AM to 5 PM on weekdays, 8 AM to 5 PM on Saturdays, and 8 AM to 3 PM on Sundays. 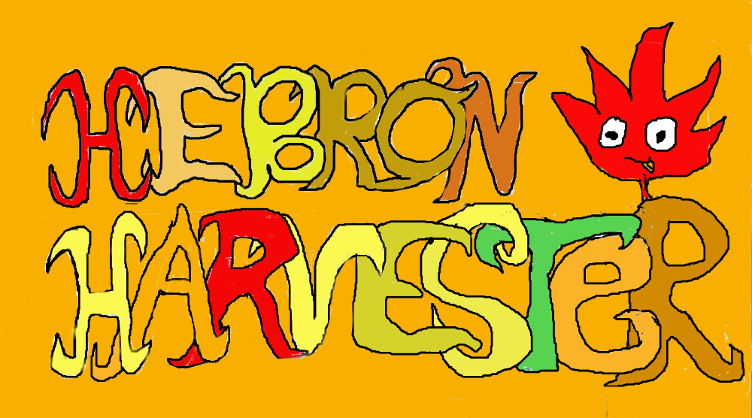 As always, post to the blog and/or email your stories, pictures, reviews, and thoughts to hebronmapleleaf@gmail.com.